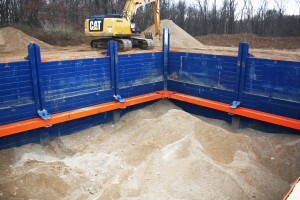 The Slide Rail, Braced Clearspan System consists of one external and one internal ring. GME's system removes the need for internal sacrificial beams and internal strut carts. This saves both time and money during installation and removal of the system. During installation, the internal carrier system is pinned at multiple locations along the linear rail. 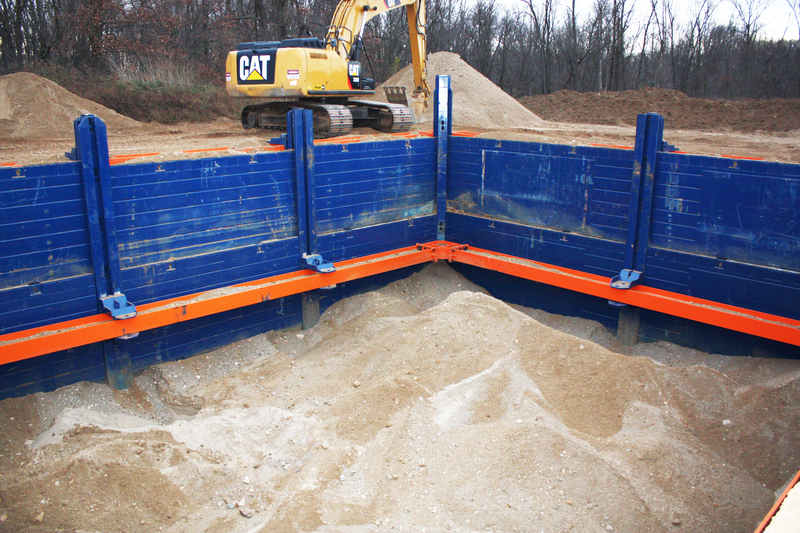 This provides the excavator bucket enough room to dig underneath the system. Additionally, with the internal carrier system on rollers, it can easily be moved into position.